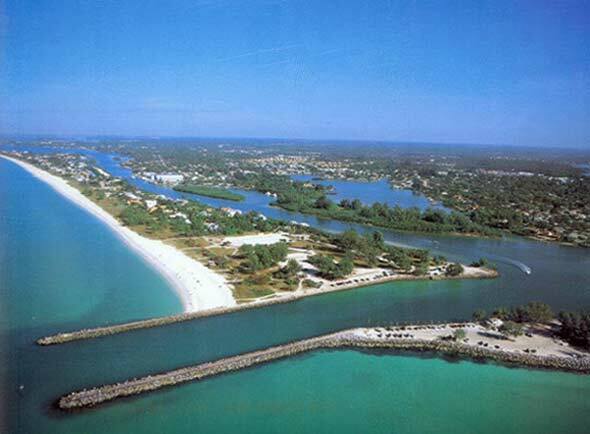 Is it time for the Sarasota County Commission to amend the County Code to remove the decades-old policies against shoreline hardening? That is the question Chair Charles Hines asked this week as he proposed a workshop on the issue. 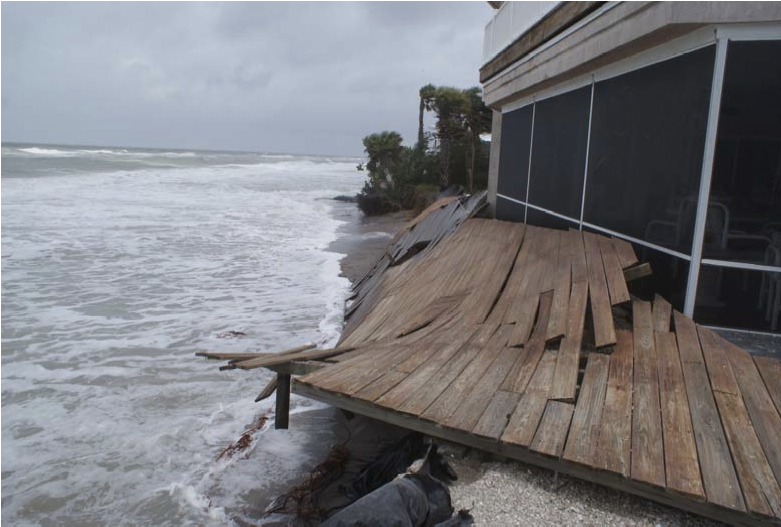 On March 12, the commission approved the third Coastal Setback Class II Emergency Variance in less than a year for Casey Key property owners with shoreline structures close to collapsing. “Our coastal dynamics have changed,” Hines said. 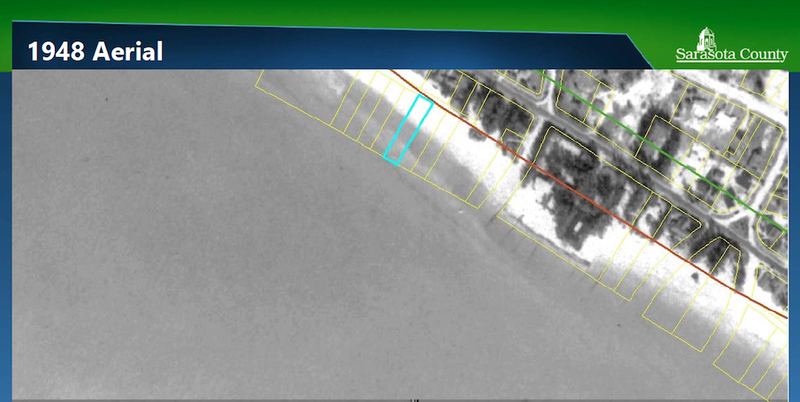 The very next day, Howard Berna, manager of the county’s Environmental Permitting team, showed the board members a series of historic, aerial photos of a portion of Siesta Key Beach as they considered a petition for an After the Fact Coastal Setback Variance on that barrier island. 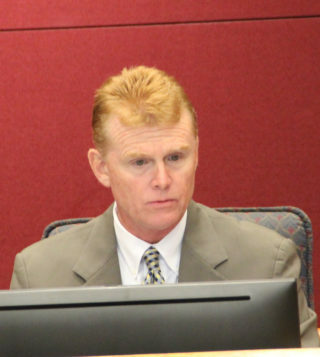 Hines is the longest serving of the current board members, having been elected to his first term in 2012. Term limits will force him to step down from the commission in 2020. If the decision is made to allow some hardening, he continued, under what circumstances would variances be appropriate? 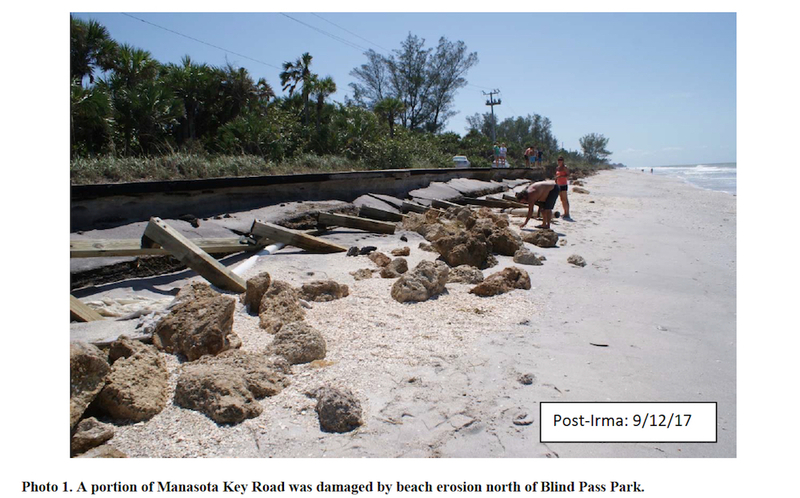 Referencing comments by some of the Manasota Key property owners, Hines stressed that sandbags and other measures are allowed only on a temporary basis. He asked his colleagues to read the county’s Coastal Setback Code and apply its regulations to the scenarios they have heard described during meetings. Then he asked them whether they would be willing to have a workshop on the county’s policies. “I like what you’re doing here,” Commissioner Nancy Detert responded to the workshop proposal, adding that she supported the idea. 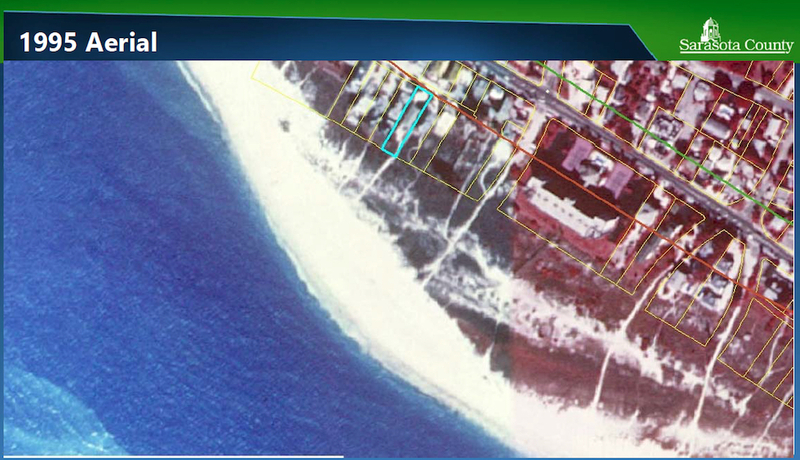 Detert continued, “I would like to hear from environmentalists and beach experts,” noting that she has seen shoreline hardening measures exacerbate erosion on the parcels on either side of the structures. “I’d like for us to look at our whole policy,” Detert said, including allowing people to pursue construction seaward of the Gulf Beach Setback Line (GBSL). 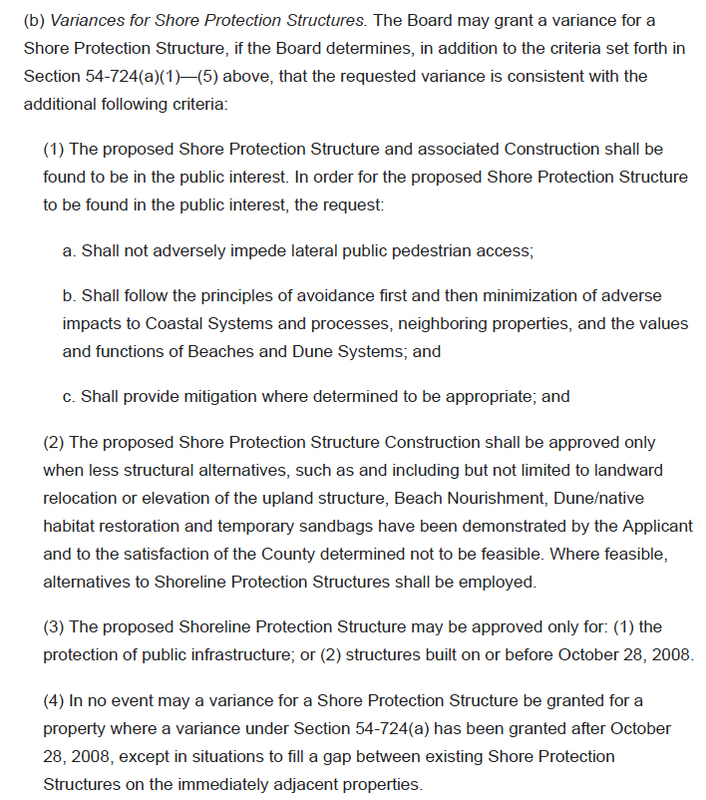 That line is a facet of the Coastal Setback Code, which was implemented in 1979. 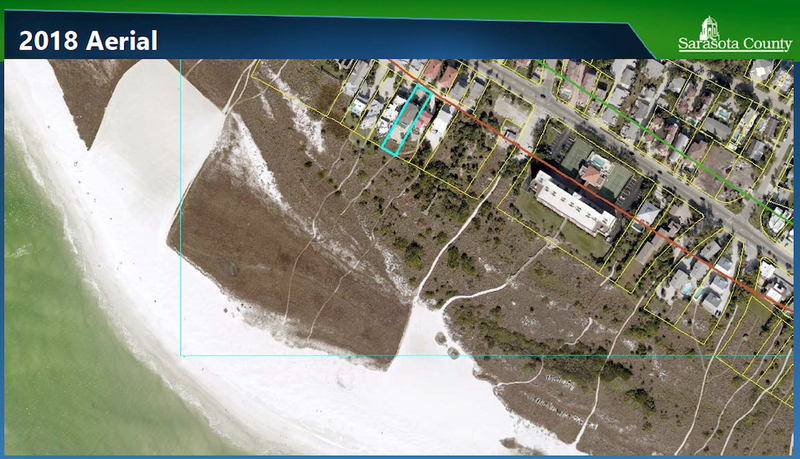 Staff has explained that the figurative GBSL exists to protect dunes and coastal vegetation, which, in turn, protect inland structures from storm surge. During his remarks later that day, Hines concurred with Detert about the need to hear from experts regarding how seawalls and other structures can create new problems. 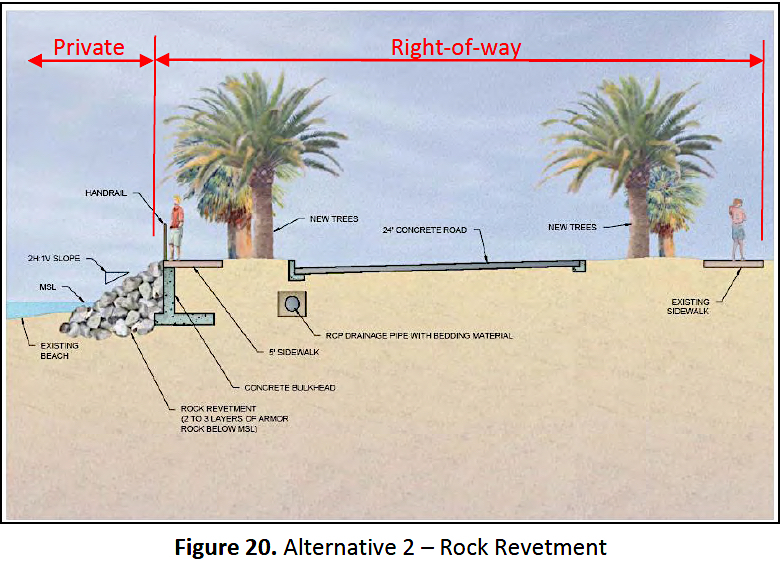 He referred to the recent discovery of rock revetments on Manasota Key parcels. 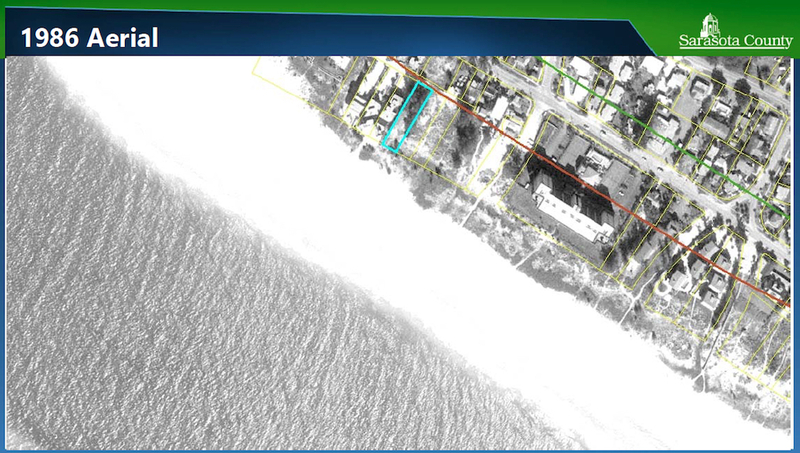 Current property owners did not know the structures were present until storms eroded the sand that had covered the revetments, Hines indicated, and those structures are making erosion worse on both sides of them. “The biggest demonstration project for that [type of situation],” Detert replied, “is the [U.S. Army Corps of Engineers’] fiasco with the Venice Jetties.” Erosion is worse on both sides of those structures, she noted. “I think it’s a good exercise, a good conversation to have,” Commissioner Christian Ziegler told Hines, referring to the workshop proposal. The commissioners often talk about the fact that the county’s beaches are the No. 1 tourism draw, Ziegler added. Why don’t they start planting native plants that are proven to help shoreline erosion? Seagrass, beach sunflower, railroad vine?